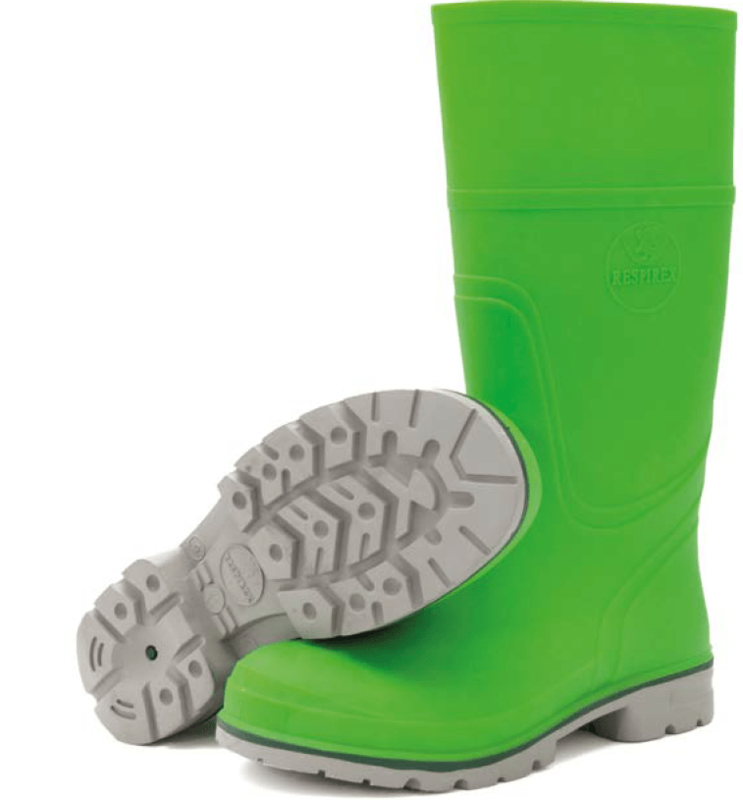 Insulating boots or dielectric boots are specified where there is a risk to the utility worker, cable jointer or linesman from the risk of electrical shock from LV MV HV low, medium or high voltages – the boots provide electrical protection according to their insulating property levels to stop electric current from being grounded. 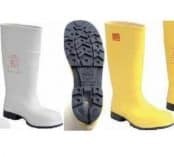 Dielectric boots are used for working on live electrical power systems – LV or HV electric current can be fatal or produce serious burns to workers caused by inadvertent cable strikes to buried underground power cables by drill, shovel, digging plant or mole. MV HV boots are effective live working safety shoes to protect utility workers against electrical hazards of step voltages – waterproof insulating boots with rubber soles for improved slip resistance in wet conditions for AC or DC voltages. Insulating boots are suitable for live working on low and high voltage cables, electrical equipment and installations – this includes HV substations, overhead line clearing, live cable jointing, cable excavating or moling close to underground live power cables. 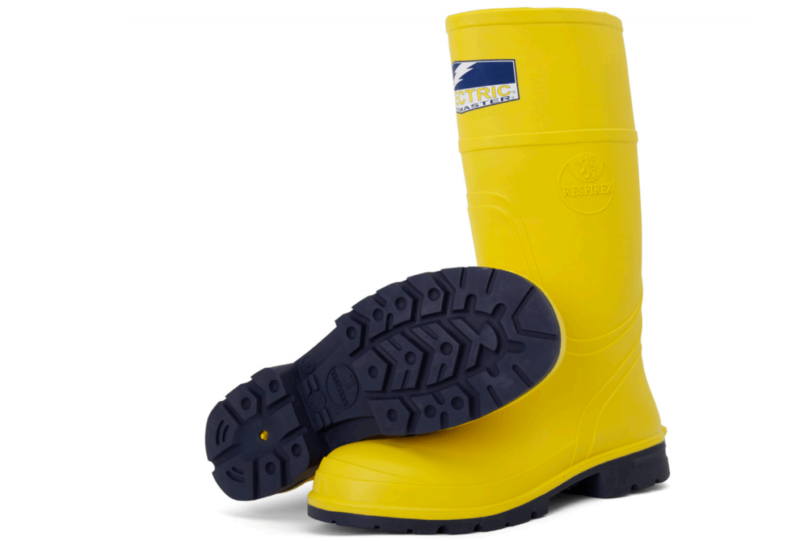 Dielectric boots are also recommended by UK utilities to be worn when carrying out earthing testing and measurement on substations and overhead lines. CATU insulating boots and safety shoes provide electrical insulation protection against step voltage and are suitable for use in many industries and applications and are class 0 insulating for working up to 1000V AC – also suitable for LV MV HV (11kV and 22kV) applications. Insulating boots and electrical safety shoes provide protection for workers in the electricity, water and gas utility industries – the range of boots and safety shoes are constructed from leather, breathable liner, anti-perforation textile sole, ventilated 3D mesh neighbourhoods and waterproof leather. When selecting any insulating PPE or clothing it is vital to know the environment in which the products will be used and the electrical class rating required. CATU electrical insulating boots and shoes provide electrical insulation protection against “step voltages” to 1000V AC – the CATU MV-137 boots are tested to 20kV AC and optional insulating over shoes are available to protect personnel against the risk of a current flow from the feet to the ground or a step voltage. CATU MV-137 Insulating Boots – the electrically insulating (dielectric) boots provide protection of up to 20kV over the boot and 35kV over the sole. Dielectric insulating boots provide protection against accidental contact with live electrical equipment, cables or conductors reducing the electrocution risk. 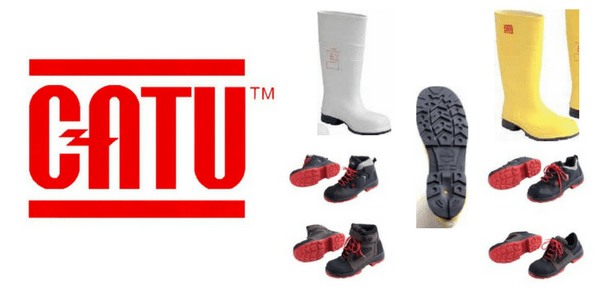 The range of insulating boots and shoes from CATU are suitable for use in indoor controlled environments and when climbing ladders and provide extra grip and traction with the deep heel cavity of the boot. CATU insulating footwear and safety shoes should be used in conjunction with safety mats, insulating gloves and other equipment to ensure total worker protection is achieved. Fully insulated footwear ensures electric current cannot flow through the body and returns to ground where it dissipates. Class 3 dielectric insulating boots are also available with an integral steel toe cap – this allows high voltage live working up to 26.5kV with every boot tested at 30kV. The Class 3 boots are lightweight design for increased wearer comfort with durable, slip resistant vulcanised rubber for maximum grip. Strong chemicals or other types of contamination should be washed off as soon as possible. Serious damage may result if certain chemicals, fats or oils are not removed or if the footwear is not cleaned regularly after use. If the footwear (both insulating boots and safety shoes) becomes cut or damaged it will not continue to give the specified level of protection. To ensure that the wearer continues to receive maximum protection any damaged insulating boots should be immediately replaced. The boot lining should also be wiped with a mild detergent from time to time. Storage in extremes of temperatures may affect the useful service life of the boots and should be avoided. 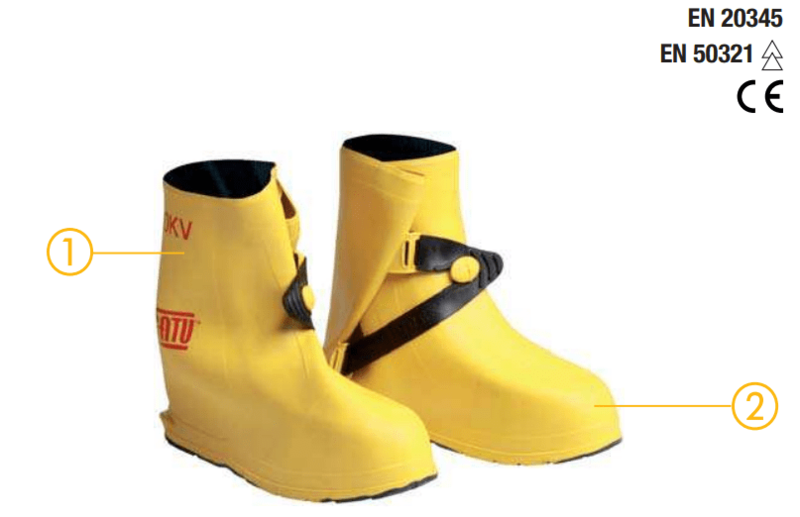 CATU Electrical manufactured insulating safety boots and shoes are light, comfortable and suitable for use in both summer and winter conditions providing year round insulation protection for high voltage workers. With light, comfortable and modern design, all models both bring complete foot safety and metal-free electrical insulation for use with systems up to 1,000V. They combine a base of electrical & technical features with properties adapted to specific environments. Made in France, they meet European 89/686/EEC on harmlessness, solidity, safety & protection against slip & fall accidents, and are individually tested according to methods of ASTM F-2412:2005 and RTE-SERECT ST-HTA-70A.